Well, summer is almost here, I’m literally counting down the minutes, so it’s tone up time around this household. With less clothing to wear, more skin to bare, exercise is here to stay for me! Yoga, running around the park, walking up and down the stairs to my apartment and DEFINITELY working out with my beloved trainer once a week. So, music is in these days, big time. While in the reflective darkness of winter I do much more reading, summer is about those sultry sounds that get me moving. This summer, thanks to a new film, I’ve gone back to my Italian roots and want to share a few songs that are a must on all your playlists. No secret that Neapolitan singer Raiz, the former frontman for Italian world band Almamegretta, has captured my musical fancy. Start out with his remake of Alpha Blondy’s Jerusalem, also called Jerusalem and then move on to some of his work in the Neapolitan dialect, which include Nanninella x and ‘O paraviso ‘nterra (heaven on earth). Also include some of Almamegretta’s faves like Sanghe e Anema (blood and soul) and Vulgus. Now, for the classics, two of my childhood favorites are Renato Carosone and Massimo Ranieri. A girl can’t call herself an Italian without loving both! Mambo Italiano and Tu Vuò Fà l’Americano are two well known songs of his, but Caravan Petrol, Tre numeri al Lotto (three numbers at lotto) and Torero (matador). 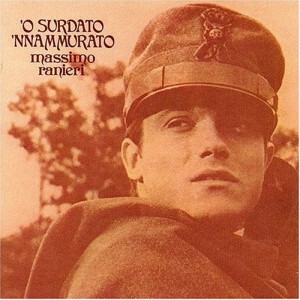 For Ranieri, try Se bruciasse la città (if the city was burning), O surdato nnamurato (the lovelorn soldier) and Pigliate ‘na pastiglia (take a pill). End it all with classic Celentano with 24,000 baci (24,000 kisses). N-joy! This entry was posted on Tuesday, June 21st, 2011 at 4:53 pm and is filed under On My IPod, The List.